Sandy Bolton MP and Melony Brests at the opening event at the Noosa Yacht and Rowing Club. 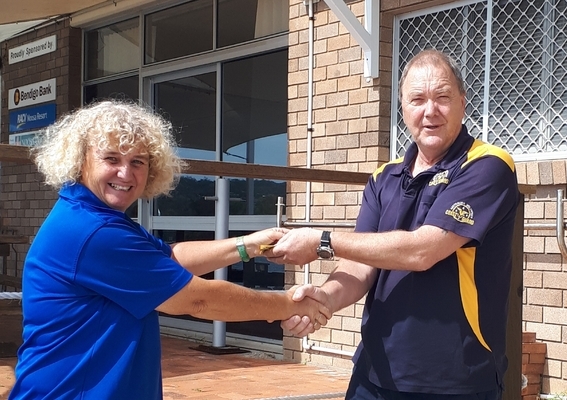 The Noosa Rainbow River Festival Director Kirsty Patten handed over a $100 donation to the Coast Guard Flotilla Deputy Commander for their contribution to the Rainbow River Parade. 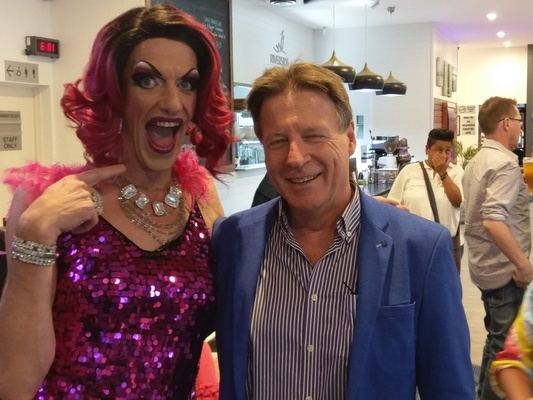 The likes of Noosa MP Sandy Bolton, Noosa Mayor Tony Wellington and entertainer Melony Brests were were among the crowd that attended the Noosa Rainbow River Festival opening event at the Noosa Yacht and Rowing Club. 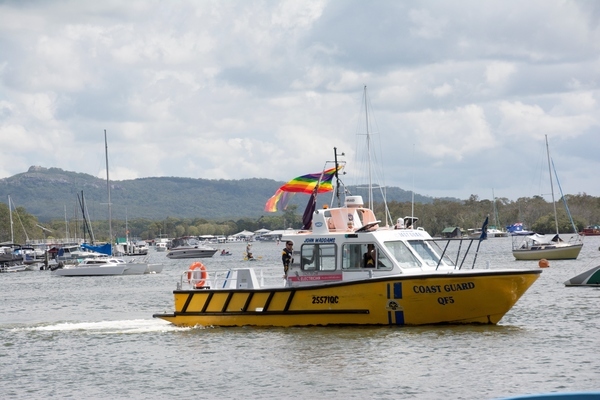 “The regular participation of our Coast Guard boats is a welcome sight making all the festival participants feel safe and included. “This year’s festival saw a record number of boats participate in the parade and we hope to make the 2020 parade even larger. 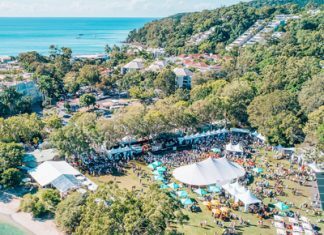 “A local community group won a $200 cash prize for the best decorated boat – awarded by Noosa’s most famous entertainer Melony Brests.